Health care is certainly a topic that is “top of mind” these days for many Americans. The need for health care reform is being discussed daily at the dinner table, the water cooler, the conference table – you name it. 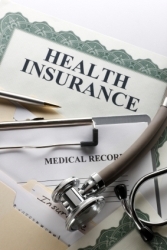 For many, the idea of shopping around for health care insurance can be overwhelming. The astronomical costs, the lacking coverage versus the money spent, who accepts what, how much flexibility will the plan offer you – the questions and the complexities can cause great anxiety and confusion. Sam Gibbs, Senior Vice President of eHeathInsurance, joined Anita Campbell and Steve Rucinski for an in-depth discussion on affordable health insurance options for small business owners and those in the ranks of the self-employed. Sam touched on the tax deductions available, COBRA, Health Savings Accounts (HSA’s), pre-existing conditions, the cost differences from state to state and much more. Sam offers some great advice in this episode that originally aired on July 21, 2009 titled, “Tips For The Self Employed On Health Insurance,” which we’ve just transcribed for your reading enjoyment. I will read this transcript as a preparations for my involvement in a new business venture in America. I first learned about the Health Savings Accounts when it was called Medical Savings Accounts. I had received Americans for Free Choice in Medicine’s newsletter for some time. I have to compare the different alternatives and check what kind of health care insurance I could get as a small business owner / freelance worker / employed.